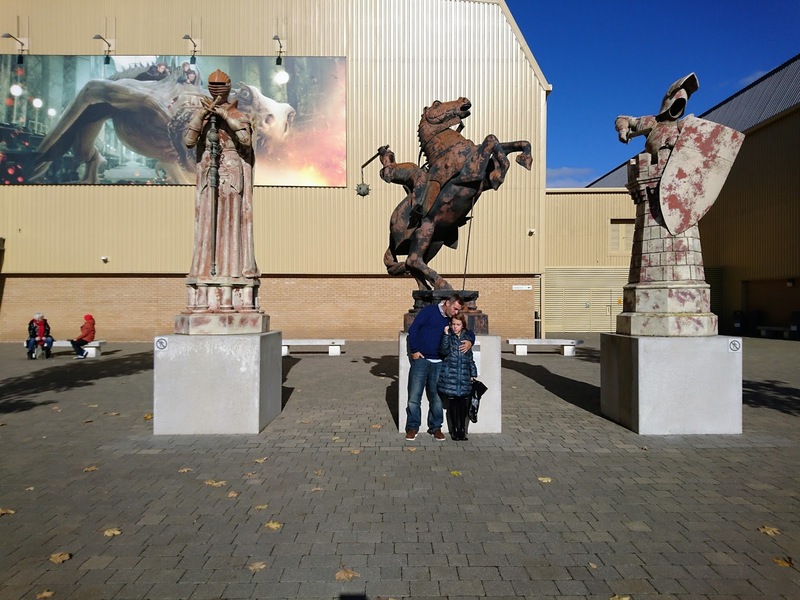 Last weekend we had the pleasure of visiting the Warner Bros Harry Potter Studio in Leavesden, Watford. Travelling there was relatively easy from the North, it is straight down the M1 to junction 6, follow the A405 for around 2 miles and you arrive at your destination. 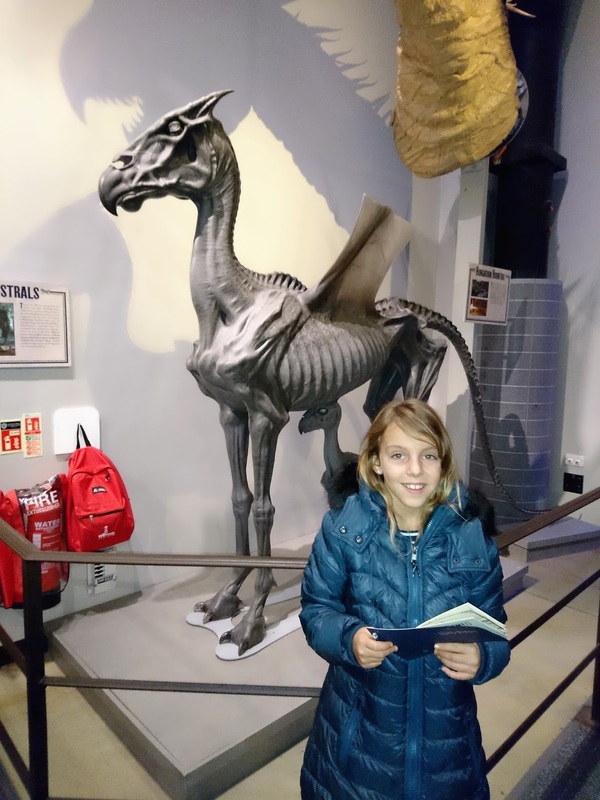 It took us around 2 hours 30 minutes in poor weather conditions. I would allow plenty of time as you do have an allocated time for admittance to the studio. Car parking is free of charge with easy entry and exit, you just need to show your confirmation email on entry. Tickets need to be booked online prior to visiting as no tickets can be purchased at the Studio. 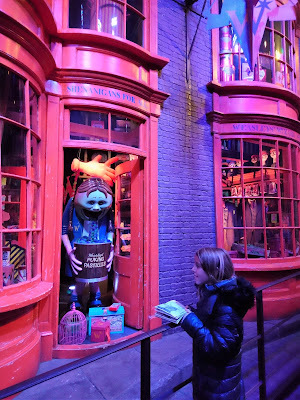 On arrival you queue with your email confirmation to receive your tickets and then join the queue for admittance to the Studio Gee was also given her activity passport to find the golden snitches and stamp it at various stamping stations around the experience. On entry there are bag searches and metal detectors which did not cause any problems and we were soon in the Studio entrance. 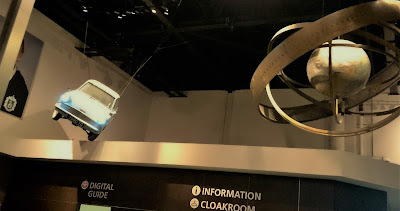 On entering the lobby area there is a cloakroom, digital guide pick up point, café and of course not excluding the wonderful shop (more on this later). 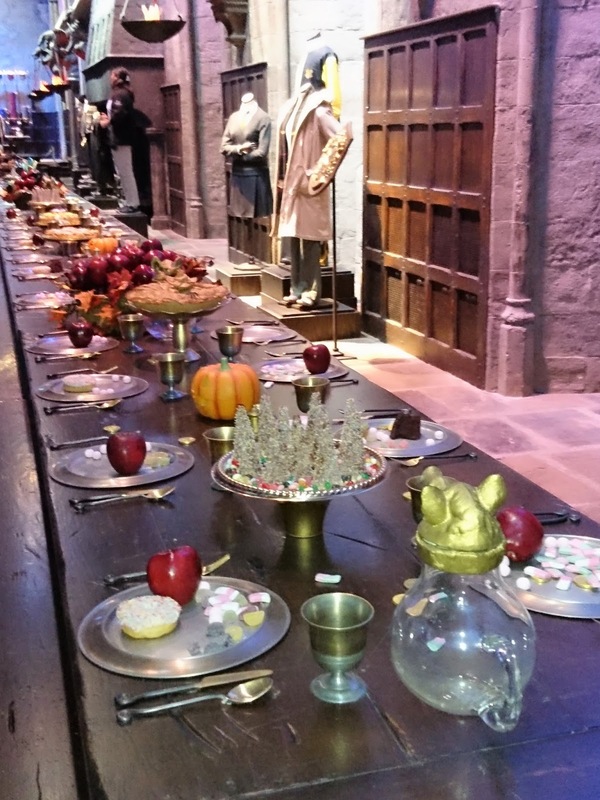 The lobby is adorned with pictures and props from the Harry Potter movies. 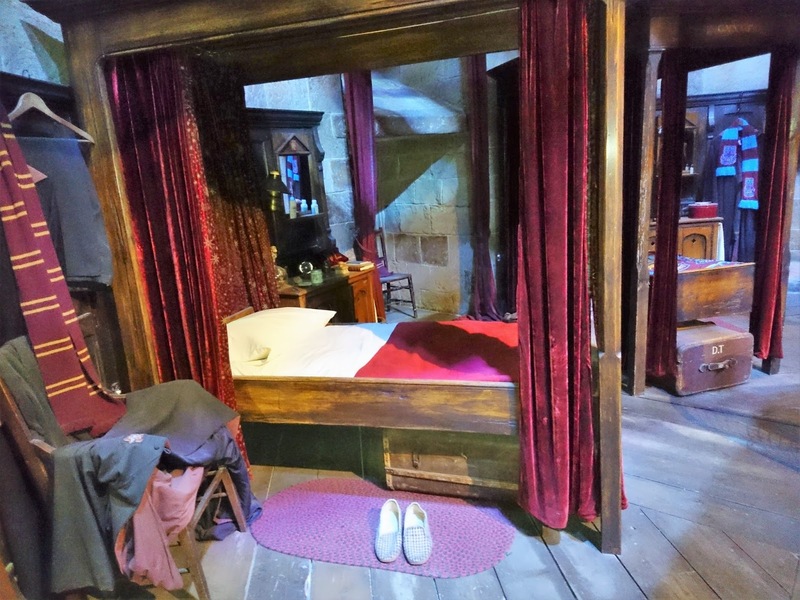 When you join the queue for entrance to the Studio Tour you can see the bed under the stairs which Harry slept in whilst staying with the Dursleys. 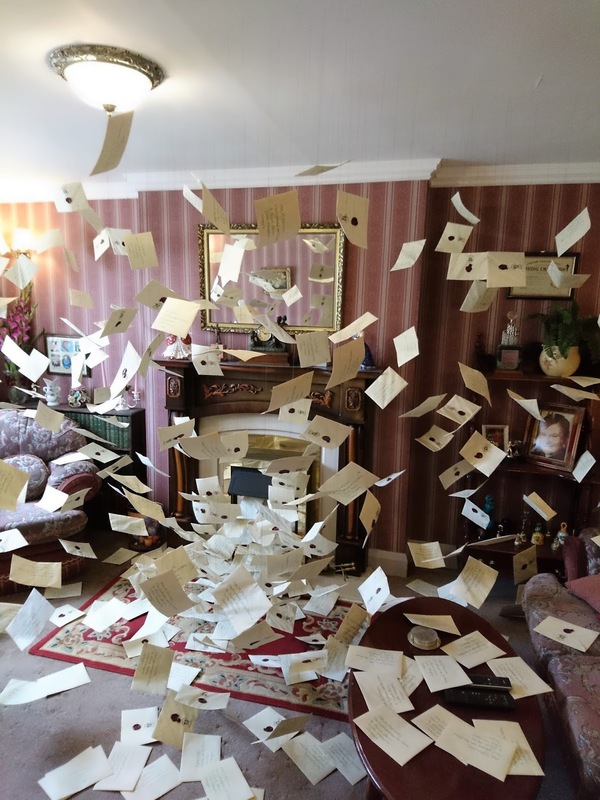 130 people are then admitted in to a room with screens on either side and information and clips from all the films are shared, before you are moved in to a cinema room next door. 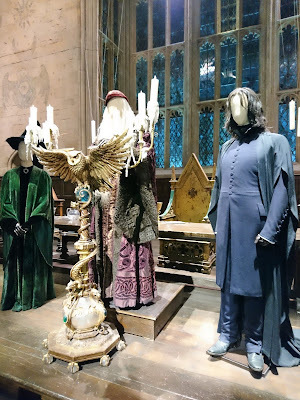 In the cinema Harry, Ron and Hermione regale you with their experiences of growing up at the Studio before you are finally admitted to the tour. 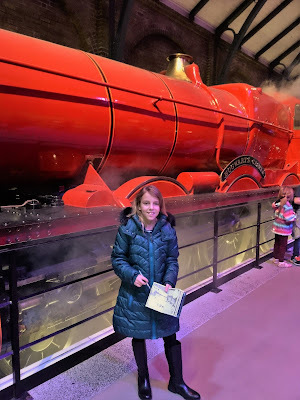 Gee was so excited to see the big cinema screen lift up to reveal the grand entrance to Hogwarts and was in awe at the sheer size of the Great Hall. The long tables down either side of the Hall were adorned with a Halloween feast and in the background were the costumes of the different houses used in the films. There are green screen around the studio where you can have photos taken flying broomsticks or even on the |Hogwarts Express, photos cost £14 for one and then if you order anymore these cost £7 each. 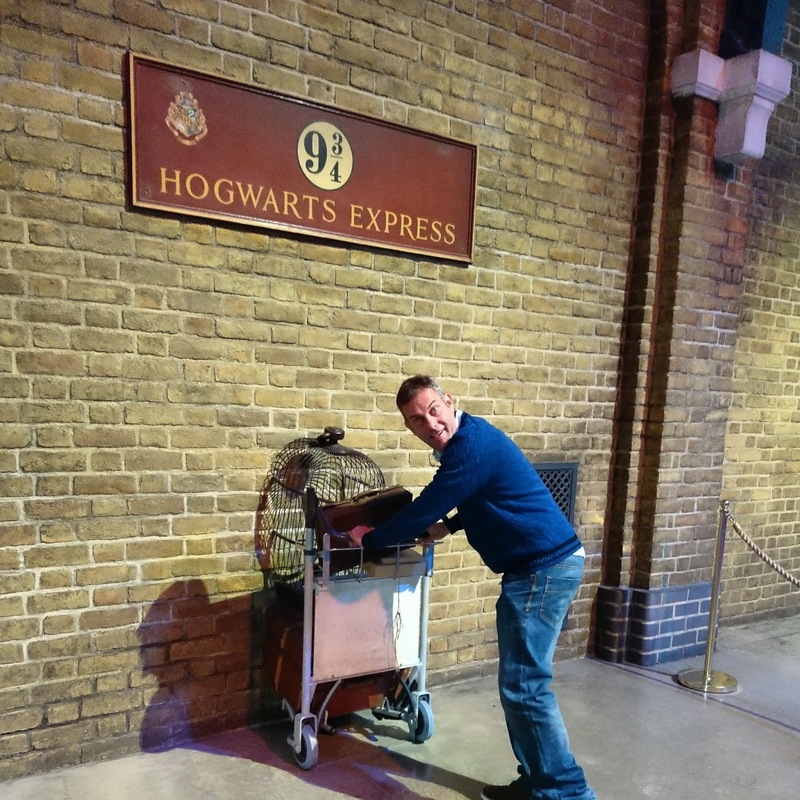 I didn't fancy risking aggravating my back on a broomstick so we opted for the carriage on the Hogwarts Express. The Studio are currently celebrating the 15th Anniversary of the Philosopher's Stone and you are able to see favourite items of fans which are on display. The sorting hat and the house at Privet Drive (which you can now go inside) and a special feature on Hagrid's costumes. We spent a good 2 hours walking around (Hubby and Gee did, whilst I sat and took it all in) visiting the various sets and if like us, you are Harry Potter fans you will not be disappointed. 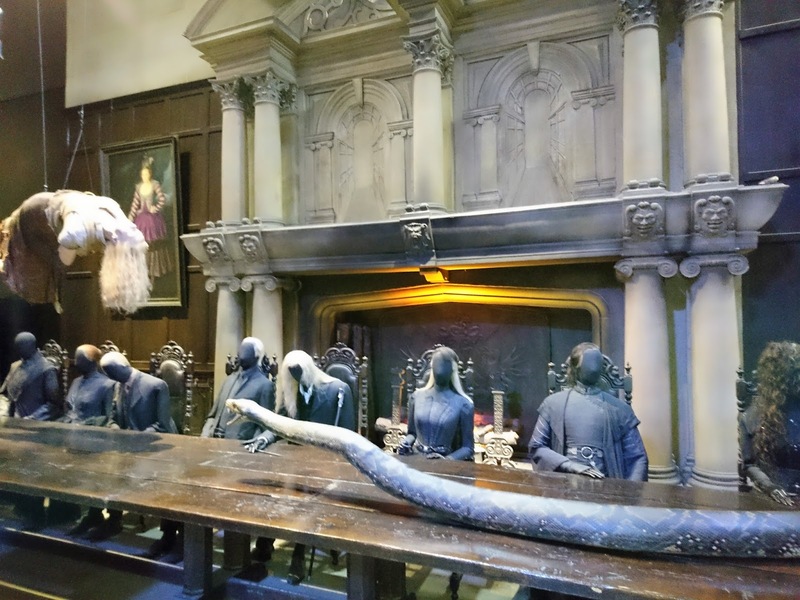 From exploring the dormitory where Ron and Harry slept at Hogwarts, the Deatheaters around the table with Nagini about to eat his meal, to visiting Dumbledore's office, it really is a great insight to how the films were produced. 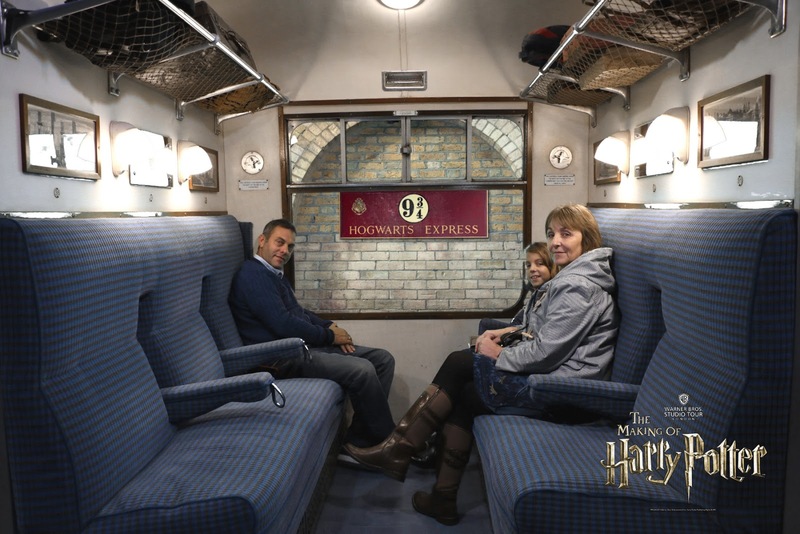 Since we last visited the Studio the Hogwarts Express has arrived. You can actually walk along the carriage where a lot of the scenes were filmed, each carriage offering a different film set. 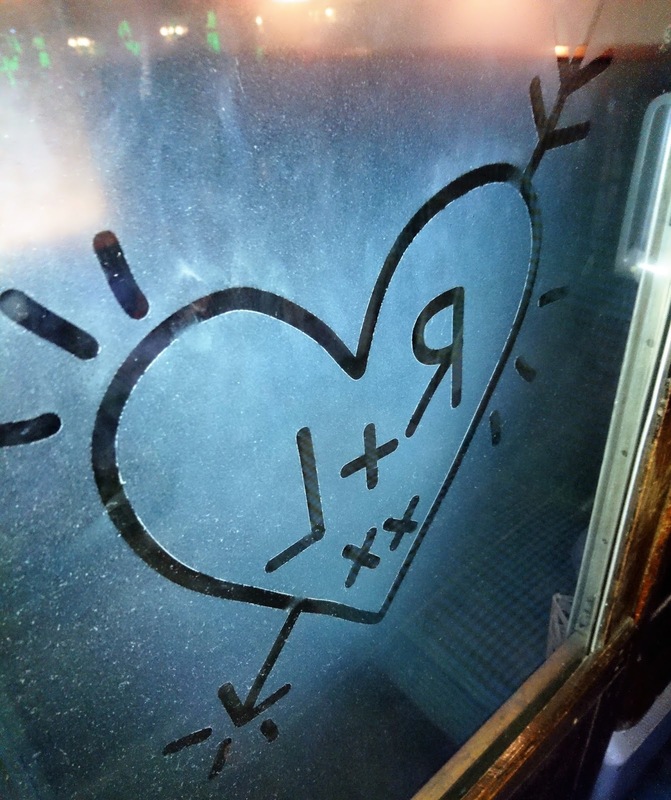 Can you remember the one with the heart and initials for Ron? Well it is still there. 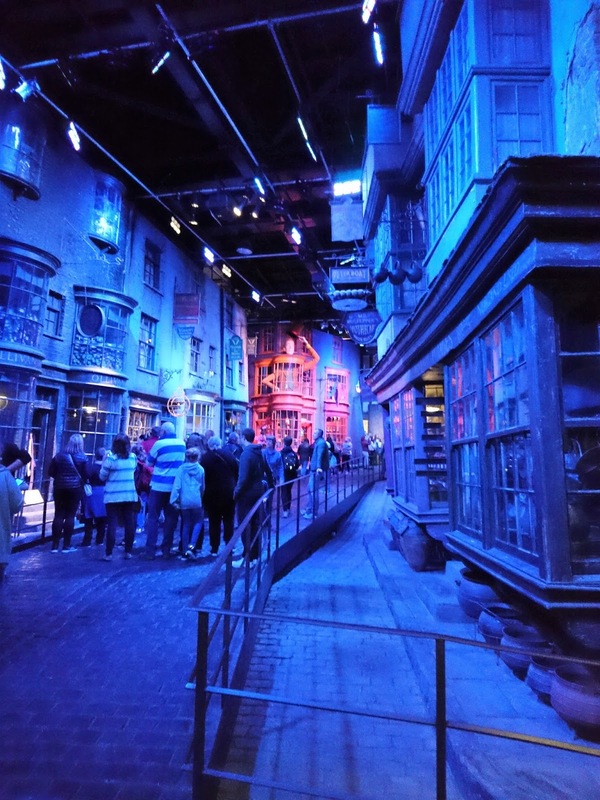 My favourite part of the whole tour is the walk down Diagon Alley. 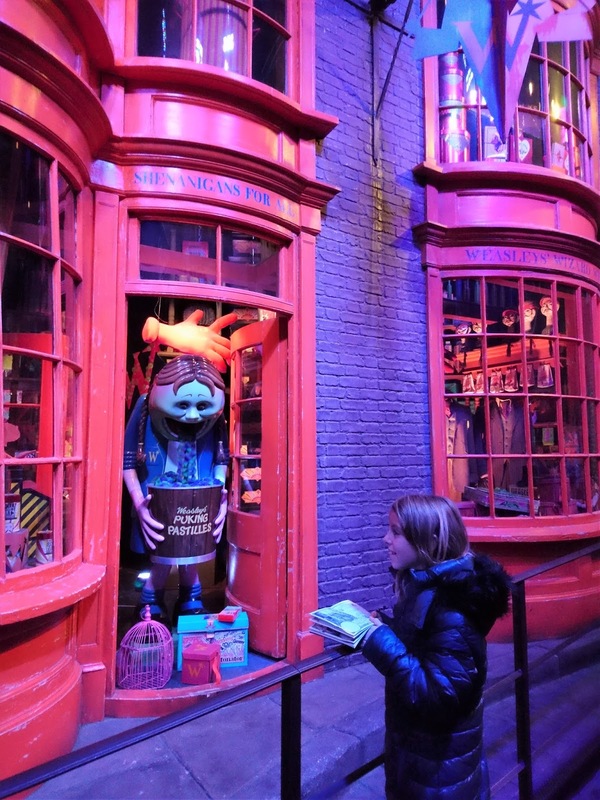 Look around as you stroll down and you will see Ollivanders Wand shop, Weezley's Wizard Wheezes where the mannequin is puking pastilles and the fabulous Apothecary with its assorted jars and cauldrons. There is a café where you can purchase butterbeer and butterbeer ice cream but we did not have any. Having tried it previously I think it must be an acquired taste, far to sweet for me. In the outside area you can visit Godric's Hollow, Privet Drive and Hogwarts Bridge. 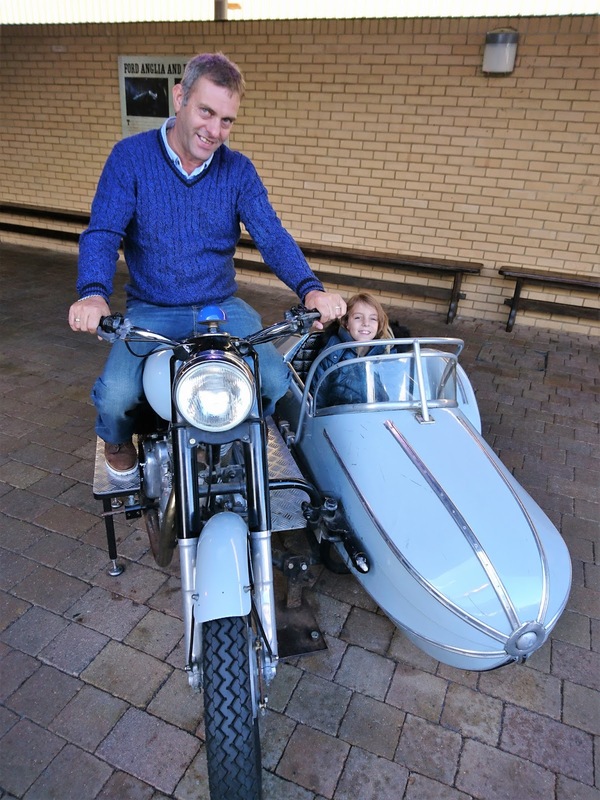 There are also the flying car, motorcycle and sidecar, the knights bus and the large knights out of the chess game. and mythical creatures adorn the walls and it is at this point you can see the amount of work that went on behind the scenes to make the films possible. 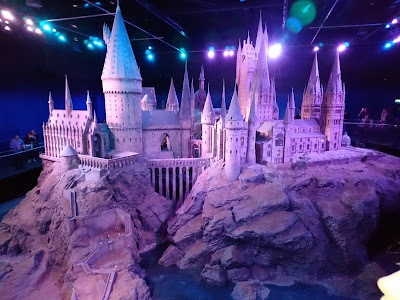 All the detailed drawings of the sets and castle are on display but nothing compares to the actual model of Hogwarts which is simply stunning. 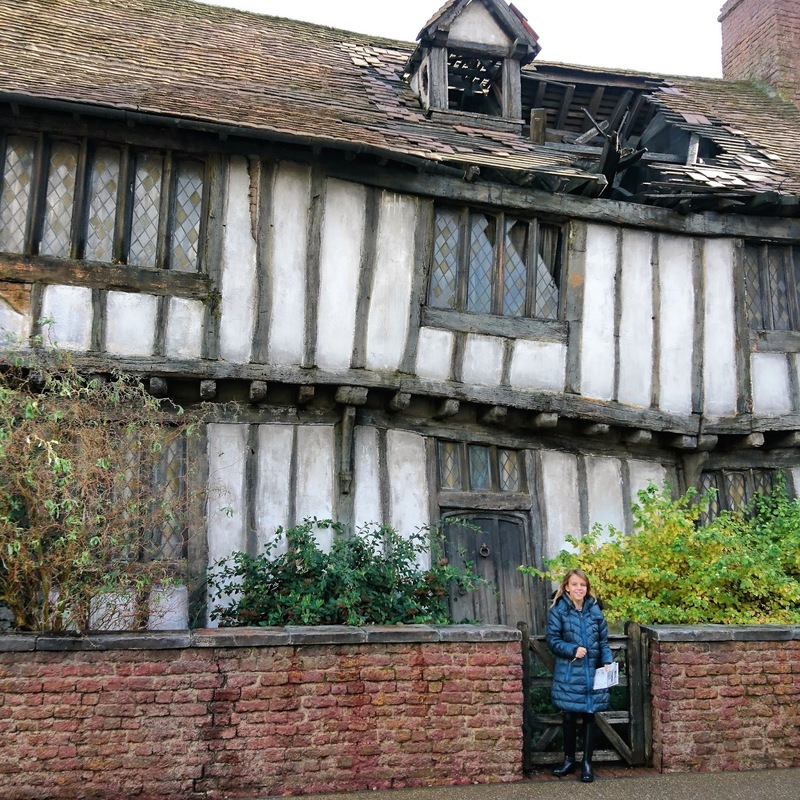 I just bet it looks amazing at Christmas when it is covered in snow. I would definitely recommend the Studio Tour to anyone with a love for Harry Potter, it really is hard to believe all the work that goes on in the background to create the movies. 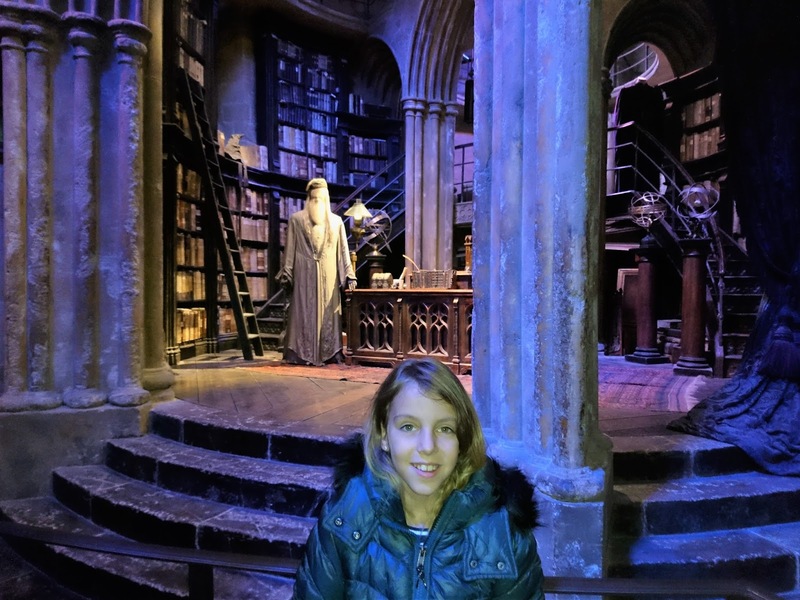 Before you leave make sure you visit the shop, Gee was in heaven, there is so much memorabilia to buy and we couldn't come all this way without Gee having a souvenir to remind her of this great day. 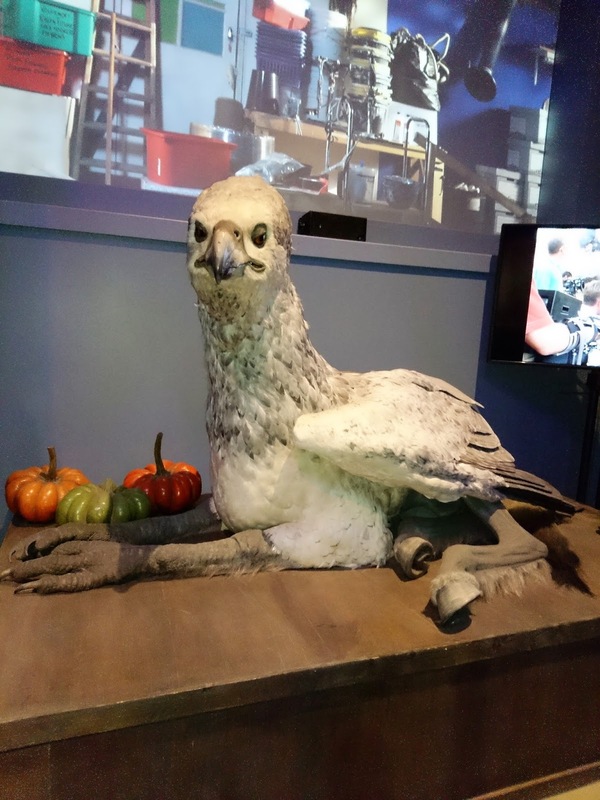 We are now eagerly awaiting the release of Fantastic Beasts as I am sure it will be another winner. We were given tickets to the Studio free of charge but the views are entirely our own. 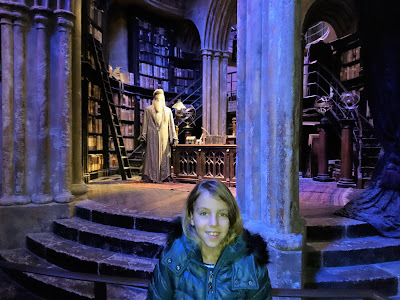 What a fab place to visit. 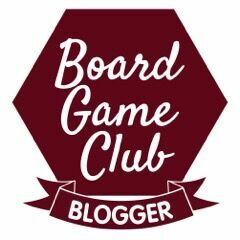 Looks like you all had such a fun day. My son went on this a couple of years ago with his grandparents and he LOVED it! I've never seen harry potter so I think it would be lost on me, but it does look amazing if you're a fan! Love love love it! Would love to go there. Will love to visit these studios. They look like fun. That looks stunning! AS a big fan of the movies & books, I'd love to go there. So jealous! It looks great, definitely on my list of places to visit in the future. This looks so much fun -my three would just love it (so would I ). Will have to get a trip sorted next year!